There are 207 countries that participate in the World Cup. Only 32 manage to qualify for the cup every four years, making soccer fans in the rest 175 countries, OrFans. Conceptualised and developed by Emmanuel Upputuru, an award-winning creative director based in Gurgaon India, the platform aims to link (or)fans to their adopted countries in a deeper, more meaningful way. Whether for a match or the entire tournament, OrFans lets fans adopt the country they want to support. Based on their choice and the app’s various partnerships, the app customizes their experience to showcase opportunities to connect with other OrFans who have adopted the same country, organise screenings, discover more about the country they are supporting and even win cool prizes along the way. 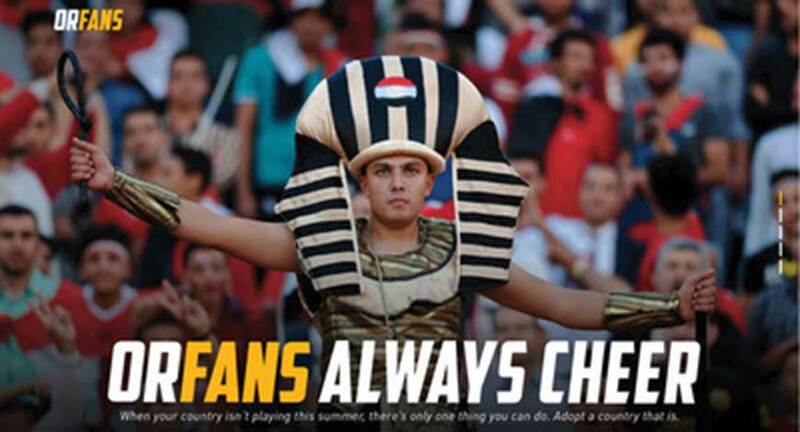 OrFans offers team-less fans the greatest advantage. After all, these OrFans get to adopt any of the 32 countries that they want. While many apps provide the latest score and feeds, OrFans also lets you know the number of OrFans of the same country close by, the total number of OrFans in the world and lets you connect with them on the platform. Of course, once you adopt a country, you adopt all of it. Which is why, the app also provides you with information about the food, fashion, national anthem and language of the country.